In my last post, I mentioned that I harvested 2 squirrels. 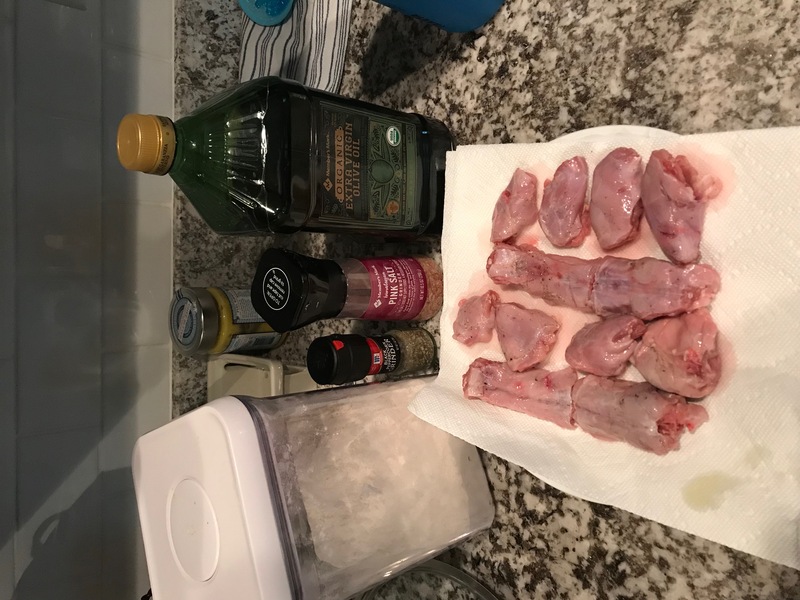 Here is the recipe that I decided to try for my first time ever eating squirrel. 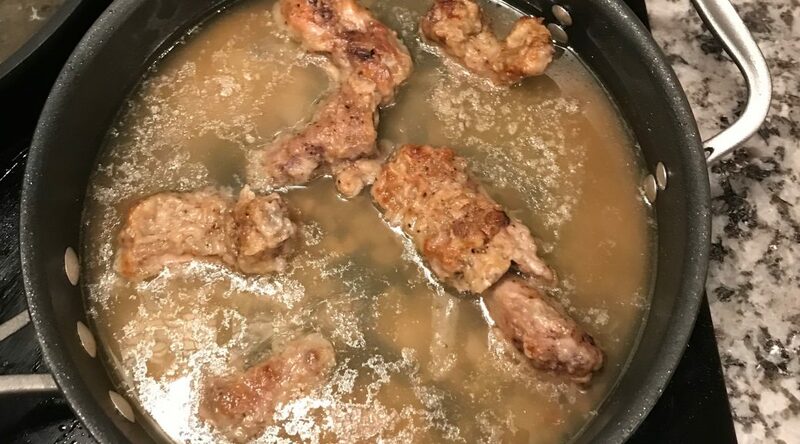 It is a recipe for country style squirrel. I forget where I found the recipe, but it is not my invention. 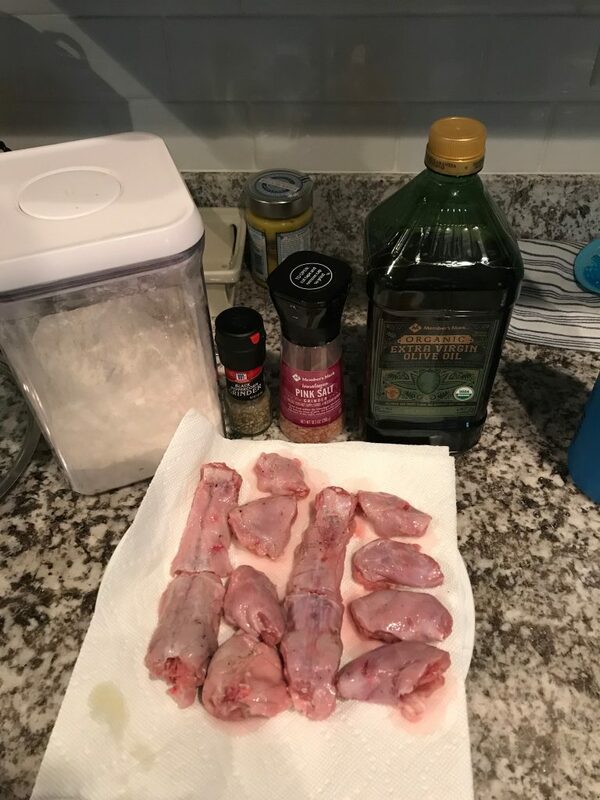 Cut squirrel into small pieces for frying. I chose pieces of a similar size to chicken wings, and with the bones in. Salt and pepper the squirrel pieces. Roll the squirrel pieces in flour until well coated. Put the oil in a skillet and heat. Once the oil is hot, put the squirrel pieces in the oil and fry until they are golden brown. Remove the squirrel and most of the oil. 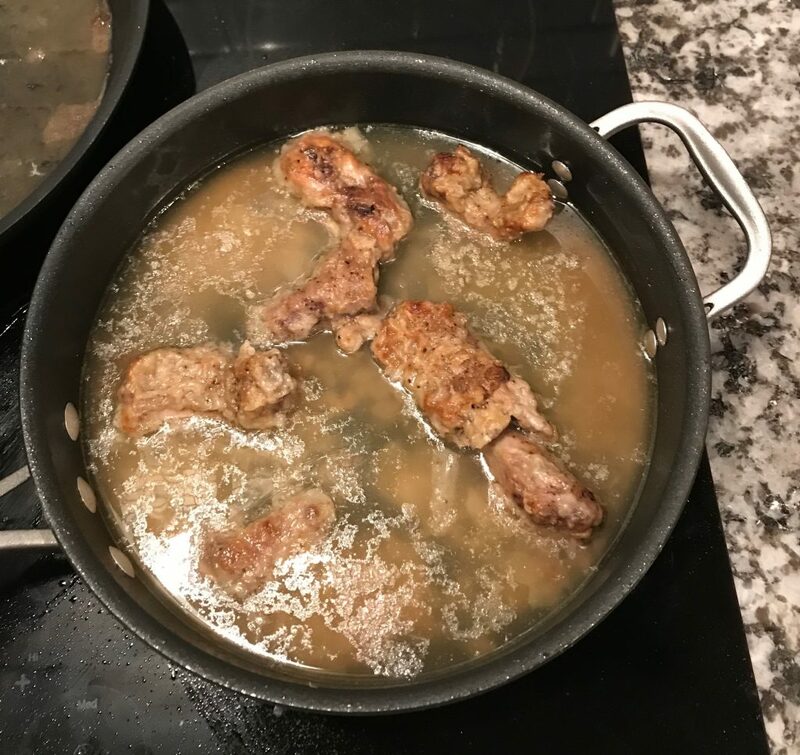 Once the water is boiling, put the squirrel back into the skillet and turn the heat to low. Cover, and cook for approximately 1 hour. Here is what the country style squirrel looked like after it was done. The meal was not as good as I was hoping. 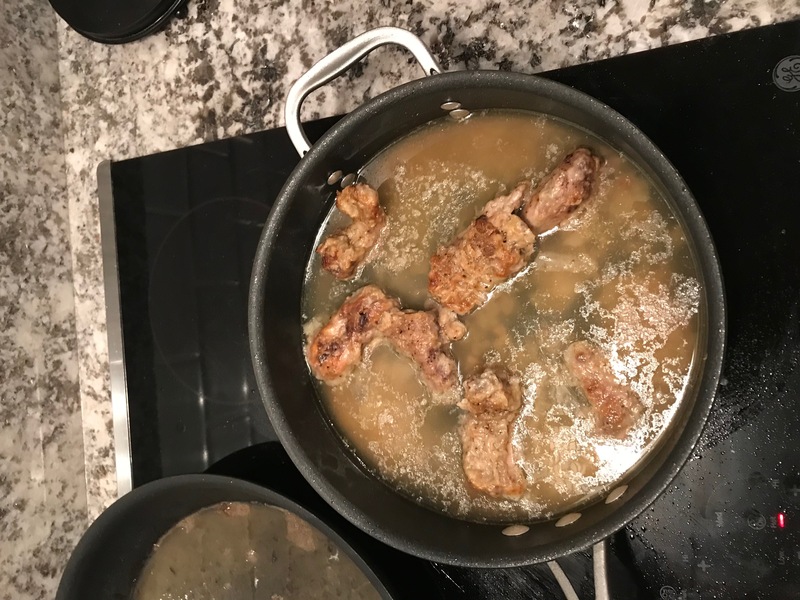 I thought the sauce would thicken up more than it did, but it remained a mostly water-like consistency. My impression of the squirrel was both good and bad. Some of the pieces were very tender and delicious. Other pieces were too tough to eat at all. So I still don’t really know how I feel about eating squirrel. I think next time I will have to try cooking it in a slow cooker. This was my first time ever eating wild game, especially from an animal that I killed. It was a weird feeling. I had a bit of an uneasy feeling in my stomach before the first bite. At the same time, it was very exciting to be eating something that I harvested. I will definitely continue hunting and cooking wild game, but I’m curious to see how my reactions change over time.